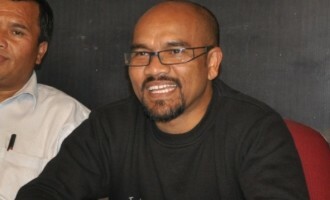 Ardent Miller Basaiawmoit, File image. Former president of the Hill State People’s Democratic Party (HSPDP) on Meghalaya, Ardent Miller Basaiawmoit along with other leaders, has quit the party. A copy of the resignation letter signed by Basaiawmoit along with 18 leaders was submitted to acting president of the HSPDP, K. Phlastingwell Pangniang informing him about their decision to resign from primary membership of the party with immediate effect. On March 6 last year, Basaiawmoit, the former MLA of Nongkrem constituency, had stepped down as HSPDP president owing moral responsibility for the party’s debacle in the 2018 Assembly elections. He also commented that it was of no meaning to lead when as a party, “we cannot reign in our own MLAs.” He said this last year after two MLAs of the party – Samlin Malngiang and Renikton Lyngdoh Tongkhar had supported the NPP-led Meghalaya Democratic Alliance (MDA) coalition government. Malngiang is a minister in the MDA government. Four sitting MLAs of the HSPDP including Basaiawmoit lost the Assembly polls in 2018. He was defeated by State Planning Board chairman, Lambor Malngiang from Nongkrem constituency by a narrow margin of 76 votes.